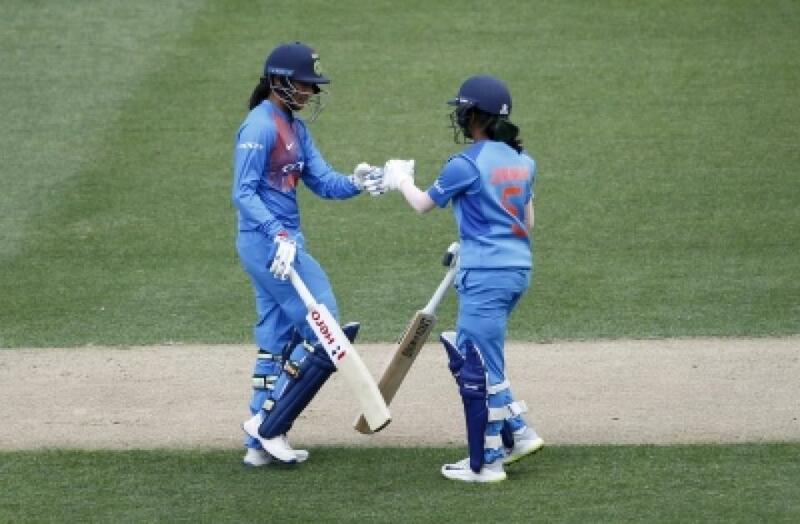 Dubai, Feb 12: The Indian pair of Jemimah Rodrigues and Smriti Mandhana have made impressive gains among batters in the ICC Women's Twenty20 player rankings despite their side's 3-0 series loss to New Zealand, an ICC statement said. West Indies all-rounder Deandra Dottin grabbed the top spot among all-rounders in the latest update carried out on Tuesday. Rodrigues's 132 runs in the three-match series against New Zealand lifted her four places to second position while Smriti, who grabbed the top spot in ODIs last week, has gained four spots to reach sixth position after finishing as the leading run-getter in the series with an aggregate of 180. For New Zealand, Sophie Devine has moved from 11th to eighth position among batters after scoring 153 runs in the series including a match-winning 72 in the last match, while captain Amy Satterthwaite's 87 runs lifted her from 23rd to 17th position. Among bowlers, Lea Tahuhu has moved up five slots to 11th position. For the Windies, Dottin has been the standout performer in a 2-1 series win in Pakistan. Dottin has moved up two places to third among batters after scoring 158 runs in the series while her three wickets have lifted her two slots to 29th among bowlers. The net result has been a promotion to number one in the list of all-rounders. Pakistan captain Bismah Maroof gained three slots to tie with compatriot Javeria Khan in 15th position among batters while Sana Mir, who is top ranked in the ODI format, has moved up six places to take 28th position among T20I bowlers after taking three wickets in the series. South Africa completed a 3-0 win over Sri Lanka in a home series ahead of their ICC Women's Championship series. The gains for them include captain Dane van Niekerk moving up three slots to reach a career-best 12th among batters, up six places to 20th among bowlers and up two berths among all-rounders to third. The pace pair of Shabnim Ismail (up four places to seventh) and Marizanne Kappe (up seven places to 22nd) are the other notable gainers. For Sri Lanka, Shashikala Siriwardene has benefited by four places to reach 30th position. In the ICC women's T20I team rankings, New Zealand have overtaken England to take second place. The ICC Women's T20 World Cup 2018 champions Australia continue to lead the table while the Windies and India, semi-finalists at the T20 World Cup in the Caribbean, are fourth and fifth respectively.